Marketwatch reported earlier last month that the number of tattoo removal operations being performed increased by nearly 450% in just the last decade. This number is surprising a lot of people, but there are some good reasons for the sudden explosion in popularity. 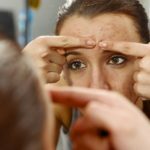 As the article notes, many of the people who opt for this procedure are people who are in their 30s and 40s. It’s easy to speculate that these people simply chose to get rid of their tattoos because they now have jobs and kids. However, people outgrowing their tattoos is hardly a new phenomenon. You have to look deeper than that to understand why popularity is growing so quickly. This is a big one. Many of the treatments in development over the last few decades were described as more painful than the tattoo, and generally took a lot longer. Advancements in laser technology have really improved the situation here. The treatment still isn’t a walk in the park, but at least it’s not a walk in a hail storm. Far more types and colors of tattoo can be removed far more completely with the newest treatments. Tattoos that were too thick or dark to remove 10-15 years ago might now be a simple matter for the newest lasers. Our particular laser can remove more colors than many of the current standard lasers. A lot of the people who refused treatment in the past did so because their best hope was to turn their tattoo into a paler blob. Those people now have options, and that’s caused a lot of them sign up for the procedure now rather than earlier. The demand is skyrocketing, but for now, clinics are meeting the demand fast enough to keep anyone from waiting too long to find some relief. Today, tattoo removal clinics can be found in every major city from Vancouver to Miami. 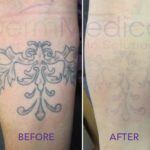 The laser tattoo removal treatment we offer has been popular since we first introduced it, and we’re still seeing numbers increase. You can find out more about our treatments, here.